Multivariate Analysis in the Pharmaceutical Industry provides industry practitioners with guidance on multivariate data methods and their applications over the lifecycle of a pharmaceutical product, from process development, to routine manufacturing, focusing on the challenges specific to each step. It includes an overview of regulatory guidance specific to the use of these methods, along with perspectives on the applications of these methods that allow for testing, monitoring and controlling products and processes. 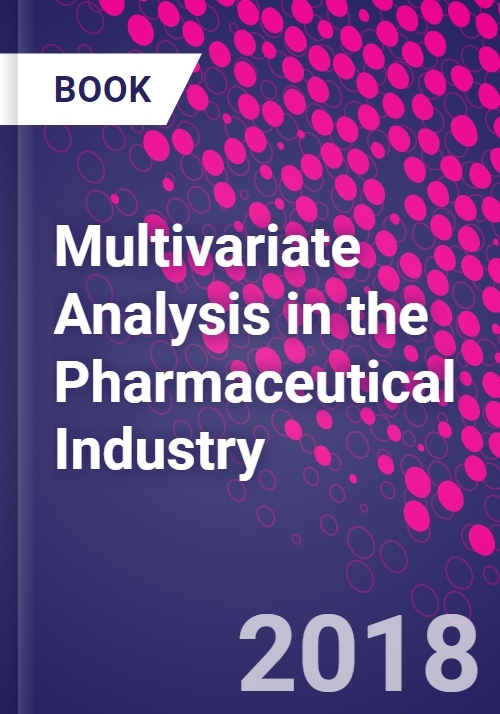 The book seeks to put multivariate analysis into a pharmaceutical context for the benefit of pharmaceutical practitioners, potential practitioners, managers and regulators. Users will find a resources that addresses an unmet need on how pharmaceutical industry professionals can extract value from data that is routinely collected on products and processes, especially as these techniques become more widely used, and ultimately, expected by regulators. Dr. Ferreira has over 10 years of experience in the application of multivariate analysis in the pharmaceutical industry both in R&D and manufacturing, spanning both small and large molecule applications. Her research and publications focus on the use of multivariate analysis for extraction of information from large data sets spanning diverse topics such as near infrared spectroscopy, process analysis and material characterization. Dr. Menezes has over 20 years of experience in academia and pharma/biopharma industries where he conducted multiple projects. He is a pioneer of the application of PAT and QbD principles to the bioengineering field. He is the co-editor of three books and has published more than 75 papers and several book chapters on MVA, PAT, QbD, data and knowledge management. After training as a pharmacist and getting his PhD, Mike Tobyn joined the faculty in the University of Bath, where he studied and worked under Professor John Staniforth. He has worked for, or consulted for, spinout and large pharmaceutical companies, and excipient suppliers. Mike's fascination with materials has led him to believe that the properties of materials in processes are governed more by their faults than their intrinsic perfect properties, but that these are more difficult to detect than conventional analysis will allow. Mike has over 20 years of experience in academia and the pharmaceutical industry, and has published more than 75 papers in the fields of oral drug delivery, inhalation drug delivery, and MVA.